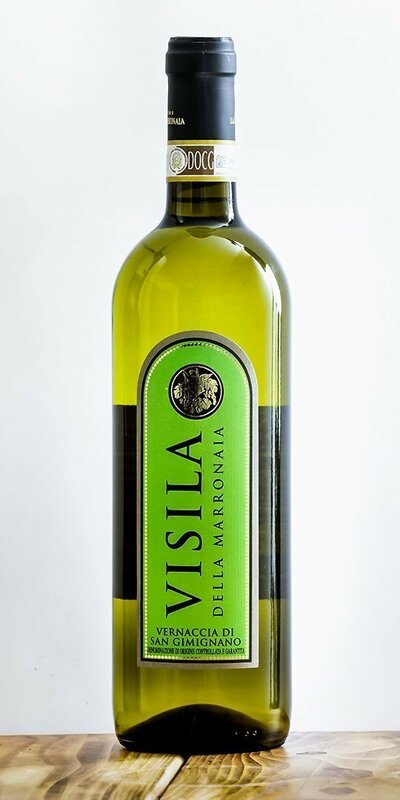 Visila della Marronaia is a Vernaccia di San Gimignano DOCG pure, made with grapes from organic agriculture certified ICEA, coming from the vineyards of Podere le Colonne, on the hills in the heart of Tuscany. The soil devoid of residues of pesticides and exposure to the southwest during the hot Tuscan summer are the ideal habitat for this for this popular Tuscan native grapes. It founded a firm white, with 13% alcohol content, fresh taste and fruity; a versatile wine, suitable for an aperitif or summer dinner. 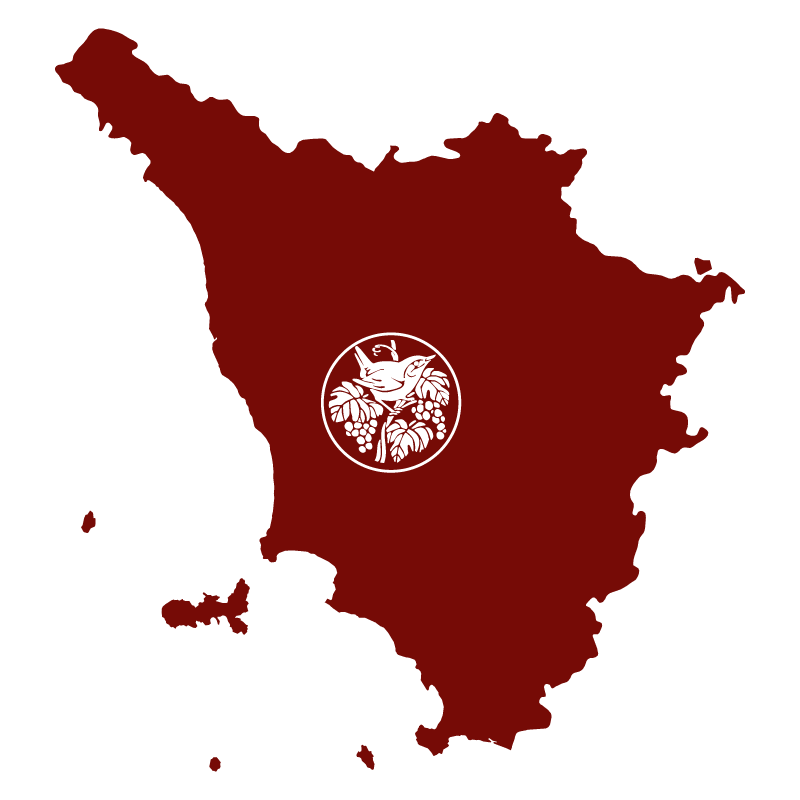 Visila is one of the wine symbols of Podere La Marronaia and the San Gimignano area. 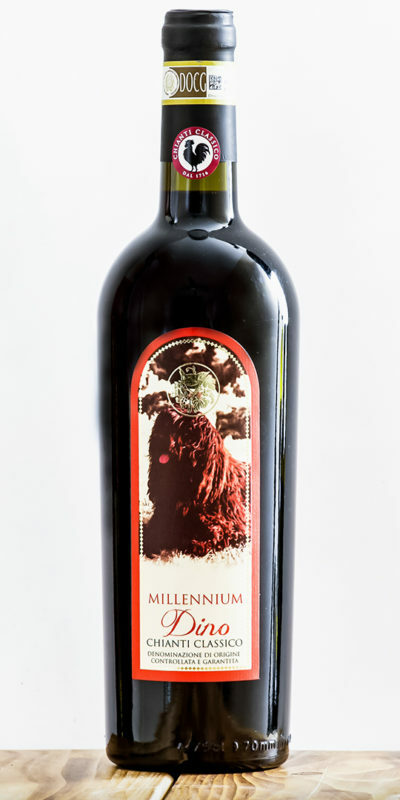 Vinification with soft pressing and fermentation at a controlled temperature using selected yeasts in small quantities allows for the production of this wine. While it is strongly linked to the territory in which it is made, it is nevertheless produced according to a modern method and is capable of enhancing the aromatic profile of this noble grape. The vineyard is located at an altitude of 300 meters and is cultivated at a density of 4,000 plants per hectare. Harvesting is done exclusively by hand, for optimal wine, during the first weeks of September, when the grapes are ripe. In the first stage of fermentation, the skins are macerated, and subsequently decanted in steel vats for 6 months at a temperature ranging between 13-17 ° C. The bottle aging takes at least two months. 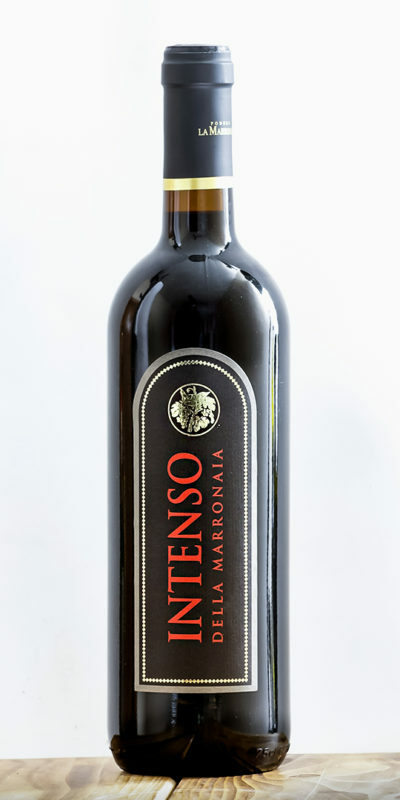 Visila della Marronaia owes its name anagram of the name “Silvia” which is dedicated this wine. Native of San Gimignano for generations, inextricably linked to this territory as this noble and ancient wine, only the Vernaccia di San Gimignano DOCG could represent it. Smell: very intense and persistent. Smell characterized by floral notes of wisteria and hawthorn. Taste: soft and fresh on the palate; well balanced and excellently structured. Very persistent finish. 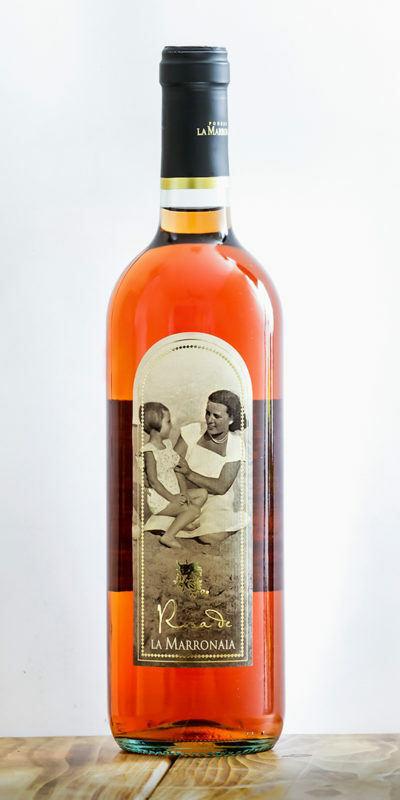 It is a Tuscan white wine with which you can prepare a summer dinner with strong but not overpowering flavors: barbecue with assorted sauces by the pool, creating a Mediterranean-inspired menu such as a seafood lunch. 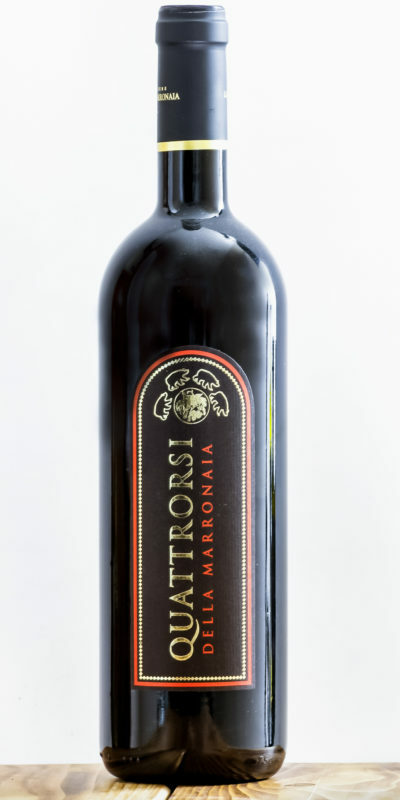 During the wine tastings at Podere La Marronaia Visila, it is proposed that you drink this wine with a Tuscan aperitif consisting of assorted bruschetta and mixed goat cheeses, or with the Vernaccia Rabbit, a traditional recipe form San Gimignano. One of the best wines I’ve ever enjoyed and I will keep ordering from the United States. Our favorite white from our tasting while at the vineyard! We ordered a case to be shipped to the US and are ready to order more for summer drinking.